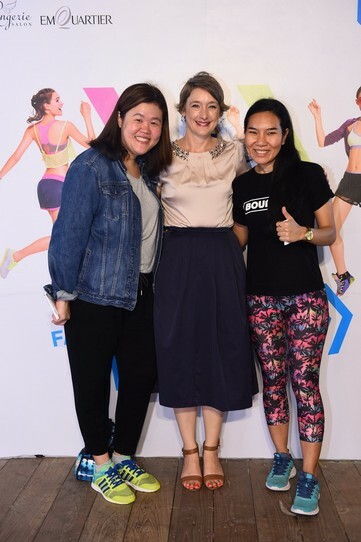 Srocha Zbinden, Commercial Director of Triumph International (Thailand) Company Limited, which imports sloggi garments, launched the Fashioned to Move event especially for active and health-conscious women. Held at the EMQUARTIER’s Water Garden, it provided a forum for female sports lovers to demonstrate the impressive quality of sloggi innerwear. Fun-filled right from the start, this event with popular actress Sushar “Aom” Manaying, showed off her DIY skills in her old but cool T-shirt. Her choice of clothes were perfect for working out. 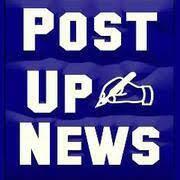 Though petite, Aom is active and agile. At the event, she eagerly shared her self-care tips with all other participants. Then Sean Jindachot came onstage to flaunt his footwork and powerful punches. The event was crowded with shapely celebs and bloggers such as Rusrin Jumsai Na Ayudhya, Pannita Snidvongs na Ayudhaya, Pawornwan Verapuchong, Melanie Sirachindabhirom, Kunjanita Kunjara na Ayudhya, Tanyawan Devahastin, Natprapa Choonhavan, Natmada Choonhavan, Nattacha Hosajakul, Chidchanok Hosajakul, Kamolrat Tengrungroj, Pim-on Mokkhasmit and Sononui-Phitchakorn Keira Balla.